Speedy first showed up in 1953’s “Cat-Tails For Two” as Sylvester The Cat’s nemesis and then starred in 1955’s “Speedy Gonzales,” which won the Academy Award for Best Animated Short that year. Speedy was featured in dozens of shorts, many with him pitted against Sylvester or a number of other hungry “Greengo Pussygatos” as he swiped cheese out from underneath their whiskers. The sombrero-wearing Speedy, with his high-pitched voice and never-say-die attitude, is sometimes accompanied by his cousin, the dense Slowpoke Rodriguez -- introduced in a short with the great title of “Mexicali Shmoes” (!) 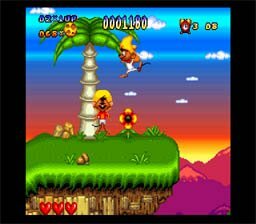 -- and is known for being in love “weeth EVERYBODY’s seester.” Speedy is hugely popular-- there are Speedy Gonzales toys, figures, and even video games (if the Sega Master System is still applicable). There’s even a “Speedy Gonzales” drink (a shooter of Amaretto and Bailey’s) which seems to have nothing to do with either the cartoon character or Mexico or, well, just about anything. 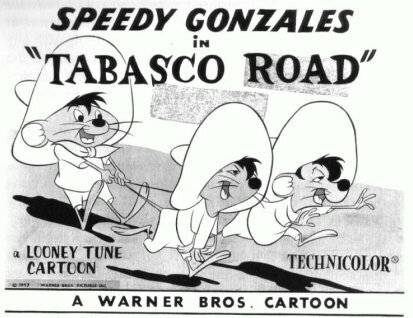 But Speedy wasn’t considered controversial until 1999 -- over 45 years after his first appearance -- when the Cartoon Network, which acquired broadcast rights to the Looney Tunes series from Nickelodeon, declared that they weren’t going to show the Speedy Gonzales shorts because he was an “offensive ethnic stereotype” of Mexicans, despite his intelligence, his speed, his strong sense of honor and his wisecracking skills. But when the story hit the press in 2002, who rallied the loudest to Speedy’s defense? Uh, the Mexican-American community. Ironically, Speedy can be seen most easily -- other than on the recent Looney Tunes DVD sets, which showcase a couple of vintage Speedy shorts -- on The Cartoon Network Latin America, where the character is apparently hugely popular. 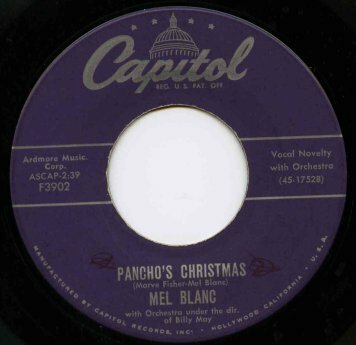 “Pancho’s Christmas” doesn’t have anything to do Speedy Gonzales per se-- but it’s Mel Blanc’s weird “we don’t need no stinkin’ badges”-style Mexican voice that rings through loud and clear as he sings the tale of a “small muchacho… (who) never had a Christmas tree.” How bad does Pancho have it? He lives in Despondent, Mexico and has so many brothers and sisters that his father, when he comes home from work, is afraid to ask “what’s new?” Sad Pancho wants a real Christmas and writes to “Santy Claus,” who drops off 200 pesos for Pancho to buy his family whatever they want-- including “all the chili beans you can carry.” Politically correct, it’s not (the flip-side, “The Hat I Got For Christmas Is Too Beeg” is even more extreme). But, like Speedy, Mel’s heart is in the right place; Pancho spends the pesos on a camera -- if only to take a picture of his family, which is happy for the first time ever. 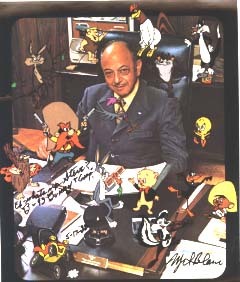 Hating “Pancho’s Christmas” for Mel Blanc’s over-the-top accent is like missing the forest for the trees-- and, frankly, how much more offensive is this compared to the awful “Mind of Mencia” on Comedy Central? This entry was posted on Wednesday, December 14, 2005 at 6:00 AM. You can skip to the end and leave a response. I guess i'll just take this opportunity to say that i *heart* Slowpoke Rodriguez. No, not offensive...more celebratory...but we are more sensitive these days. Americans are such prudes! Speedy Gonzalez was ranked one of the most popular cartoon characters in Latin America. We, as humans in general, should let natural selection occur because all of the stupid people that waste my oxygen, would not survive to reproduce.